Prices of gold hit roughly one-&-a-half-month low at the domestic bullion market on Wednesday, prompting many to predict that the yellow metal's bull-run will soon over. Price of standard gold (99.5 per cent purity) slipped by Rs 635 per 10 grams to close trading at Rs 30,540 per 10 grams, from Tuesday's closing level of Rs 31,175 per 10 grams. Price of pure gold (99.9 per cent purity) dropped by Rs 630, from Rs 31,300 per 10 grams on Tuesday to close at Rs 30,670 per 10 grams on Wednesday. The Securities Appellate Tribunal (SAT) yesterday turned down the Sahara Group's plea seeking the tribunal's Registrar to accept a pay order Rs 5,120 crore, roughly a third of the Rs 17,400 crore that the Supreme Court of India had ordered it to repay to investors. According to a new report, federal investigators in the US are aiming to build a criminal case of the JPMorgan Chase trading issue by reviewing content related to the scandal. The New York Times report says that federal officials are going through recorded phone calls, emails and other data to bring criminal charges in the case. Experts had earlier believed that it is unlikely that a serious criminal investigation will be conducted in the case relating to trading losses in JPMorgan's chief investment office. The price of gold has fallen to a seven-week low as a strong dollar resulted in lesser demand for the metal and no further stimulus measures by Federal Reserve. 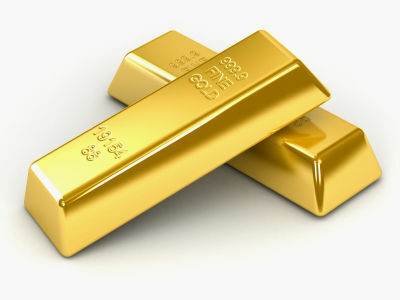 The price of gold fell 2.3 percent to USD 1,625.30 an ounce. This is the lowest level sine October 21 on the commodity exchange. The price of silver also fell dropped 5 per cent to USD 29.70 an ounce on the exchange. The price of the metal fell 2.6 per cent on Tuesday after the US Federal Reserve said that US economy has maintained its growth and it does not need any additional bolster the economy. Gold prices, on Friday, came up by Rs 70 to end at Rs 18,370 per ten grams in New Delhi on account of quick buying amid a firming trend in foreign markets. In the domestic market, the improved buying activity was mainly because of ongoing marriage season and approaching Akshiya Tritiya festival, which falls on May 16. The gold price hit a record high of Rs 18,550 per ten grams on Dec 03, 2009. On the other hand, standard gold and ornaments prices came up by Rs 70 each to Rs 18,370 and Rs 18,220 per ten grams respectively. The country's gold sales for the critical Akshaya Tritiya festival this month may go down by over half as prices stay near to their record highs. A senior executive at the country's major industry association made this statement today. Mr. Prithviraj Kothari, director with Bombay Bullion Association stated that the consumers may purchase approx 20 tonnes of the costly metal on Akshaya Tritiya, which falls on May 16, below half of the 45 tonnes they purchased during the last year (2009). Snapping the gaining streak, the costly metals turned down on Saturday, as Silver decreased by Rs 115 per kg and Gold fell by Rs 50 per ten gm, due to lack of fresh demand from stockists together with bearish worldwide advices, traders at the Bombay Bullion Association (BBA) said. A mixed trend was seen in bullion rates with Silver increasing Rs 85 to mark its closure at Rs 27,195 per kg on fresh demand from domestic dealers but Standard mint Gold came declined Rs 15 to close at Rs 16,925 per ten gm on renewal heavy offers by stockists in consideration of bearish advice from worldwide markets. On the other hand, Silver .999 variety increased by Rs 85 to closed at Rs 27,195 per kg because of continued buying action by local dealers and lesser ready stocks at the local markets. However, Standard gold and pure gold varieties came down by Rs 15 and Rs 20 per ten gm respectively. India's Union Budget for the year 2010-11 has gained both positive and negative reviews, and most points included in the budget have become issues of massive debates. Another such point is the increase of import duty on gold and silver, especially with both the metals now becoming more and more expensive with each passing day. While the import duty on gold has been hiked to Rs. 300 per gram, from Rs. 200 a gram, that on silver has been taken from Rs. 1,000 per kilogram to Rs. 1,500 per kilogram. Gold futures retouched the psychological Rs 17,000 mark, hitting a three-week high, as a weaker dollar overseas propelled the yellow metal's appeal as an alternative investment, analysts cited. The US dollar reported its abysmal depth, touching the lowest in six weeks on Friday after US jobs data disappointed. The dollar index fell 0.6 per cent in comparison to other currencies. The most-traded gold February contract on the Multi Commodity Exchange (MCX) was trading 0.89% higher at Rs. 17,051 per 10 grams at 2:44 pm. It hit an intra-day high of Rs. 17,054, a level last seen on 21 December. The record-shattering run of gold prices further extended on Thursday when the yellow metal hit a new record-high of above $1,195 an ounce, with the dollar index tumbling to its lowest level in the last 15 months. On Thursday, gold prices touched $1,195.13 per ounce on the London Bullion Market, after Sri Lanka's central bank purchased 10 tonnes of gold from the International Monetary Fund (IMF) for $375 million. The yellow metal has been scaling new heights every passing day and jumped to an all-time high as investors are losing interest in currencies due to their volatile nature. Gold has emerged as a safe investment mode among investors as indicated by skyrocketing prices of the yellow metal. Prices of other precious metals including silver, platinum and palladium are also on rise and expected to pick up further due to apprehensions of further decline in dollar rates. Gold yesterday as per expectation backed down from records hit overnight, accelerating losses as the U.S. dollar bounced and extended gains. Gold opened at 16795 and retreated during the early morning, finding support near 16780. Moderate dealer buying carried it from this level and managed to rally to an intraday high of 16884. Gold: The counter have turned bullish after breaching the resistance at 15690 levels and close above all the short term moving averages. The RSI has breached the MA, while ADX indicates bullishness in the counter. Thus one can remain long in the counter at every dips above 15675 levels, as the counter has potential to inch-up higher to 16000 levels in near term. U. S. gold futures scaled an all-time high at $1,045 an ounce on Tuesday, gaining more than 2 percent as investors piled into the metal to preserve the value of their dollar-denominated assets against erosion by a weakening dollar and inflation. Silver too followed the rise in gold and outperformed the yellow metal, gaining over 4 percent on COMEX and over 2 percent on MCX. The upside was capped in precious metals owing to the phenomenal rise in rupee against the dollar. Gold: The counter shouted up in the later sessions yesterday from the bottom taking support from the 40 DMA and closed above the triangle. Thus the counter indicates strength in the counter. The RSI is seen improving while there is a positive crossover by the +DI. Therefore the overall move indicates positivity in the counter and breaching 15690 prices can move further targeting 15780 and 15850 in near term. Gold prices rose toward $1,020 an ounce on Monday on COMEX, gaining more than 1 percent, on a combination of dollar weakness, a turnaround in crude oil prices and lingering economic uncertainty. Silver jumped by over 2 percent on COMEX. The world's largest gold-backed exchange-traded fund, the SPDR Gold Trust, said its holdings stood at 1,098.073 tonnes as of Oct. 5, up 0.1 percent or 1.525 tonnes from the previous business day. The holdings rose to a record high of 1,134.03 tonnes on June 1. Gold stayed above $1,000 an ounce as the dollar remained pressured after last week's jobs data pushed the currency down broadly on concerns the U. S. economic recovery may not be as robust as previously thought. Silver prices too recovered following uptick in yellow metal. Gold: The counter traded very strong above the trend line and closed higher resisting the 21 DMA of 15733. Thus the intermediate side-ways trend hasended. The +DI have breached the –DI on the upside, indicating anuptrend in prices. Therefore the counter is expectedto remainpositive, on breaching 15750 levels next resistance is seen at 15900-16000 levels in near term.